I am not a person that craves speed. Give me my non-souped up Toyota Rav 4 and I am content. I saw the first Fast and Furious and wondered what all the hype was about. I critiqued the actor’s performance instead of drooling over their fast cars. That being said, when Hubby (who loves Formula One racing) said he wanted to go to Petit Le Mans at Road Atlanta in October last year, I made sure I had my Kindle charged. I was sure I would be bored. What is the Petit Le Mans? The Petit Le Mans (French for little Le Mans) is a sports car endurance race held annually at Road Atlanta in Braselton, Georgia, USA. It uses the rules established for the 24 hours of Le Mans by the Automobile Club de l’Ouest (ACO), which are slightly modified if necessary, mainly to allow additional cars to compete. 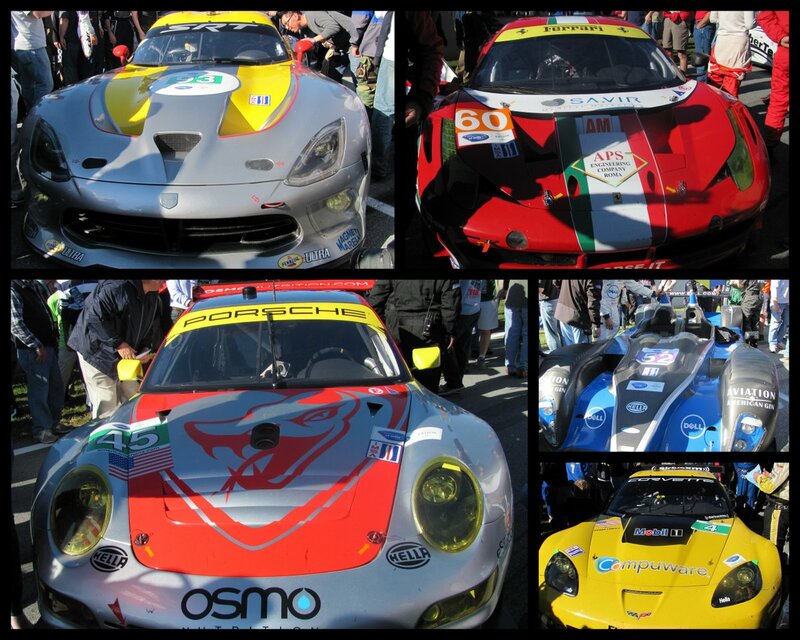 The race was founded by Road Atlanta owner Don Panoz and first run on October 10, 1998 as part of the IMSA season. The 1999 edition was one of the original events of the American Le Mans Series. This year will mark the 2nd Annual Intercontinental Le Mans Cup, which connects the races in North America, Europe and Asia. This event starts on Thursday with speed trials on Friday and the official race on Saturday. We got there Friday for some of the speed trials for race position. I will not lie. During this time, I was a little bored. I did not understand what was going on. It did not seem as if there were that many cars on the track. After lunch, with the sun in my face, I got a little drowsy and nodded off a time or two. Hubby could not believe I went to sleep considering how loud the cars were. The noise was thunderous in the way I would imagine living next to an airport would be. I am not one to be deterred when I am sleepy. Friday’s events might not have held my interest, however, Saturday was a different story. We got there early enough to get a good parking spot to see the action. Then we walked down into the pit area to look at the cars that were racing (see picture). It was at this time that I began to understand the hypnotizing power of muscle cars. When the engines were started, the low rumbling created a slight vibration through my body. It gave me chills. The good kind. I think it created an increase in adrenaline in my brain. I was hyper and excited all at once. In that second, my brain decided that I needed one of those cars. When we had to leave the pit for the race to begin, I started to crave the feeling that being next to a machine of that type of power gave me. It was difficult to break away and bring myself back to reality. That was the defining moment in my appreciation for sports cars. Overall, Petit Le Mans is definitely an experience to be had. I do not have the funds to be able to travel to the Le Mans, but at least I can go to the miniature version in Georgia. I believe a lot of other people feel the same way. There were thousands of fans out there, many of whom were camped on site since Thursday. Everyone was gathered together for the love of racing, need for speed, and the appreciation of well-tuned, finely built, highly operating machines.